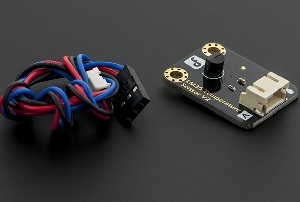 The DFRobot LM35 Linear Temperature Sensor is based on the semiconductor LM35 temperature sensor. It can be used to detect ambient temperature. This sensor is produced by National Semiconductor Corporation and offers a functional range between 0 to 150℃. The sensitivity is 10mV/℃. The output voltage is proportional to the temperature. It is commonly used as a temperature measurement sensors. It includes thermocouples, platinum resistance, thermal resistance and temperature semiconductor chips, which commonly used in high temperature measurement thermocouples. Platinum resistance temperature used in the measurement of 800 degrees Celsius, while the thermal resistance and semiconductor temperature sensor suitable for measuring the temperature of 100-200 degrees or below, in which the application of a simple semiconductor temperature sensor has good linearity and high sensitivity. The LM35 linear temperature sensor and sensor-specific expansion of Arduino board, in combination, can be very easy to achieve. 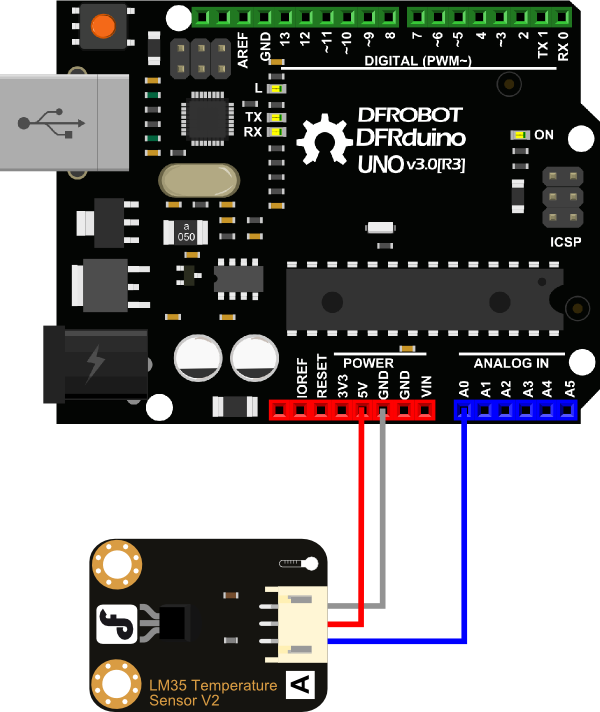 Get Gravity: Analog LM35 Temperature Sensor For Arduino from DFRobot Store or DFRobot Distributor.